Does the thought of travelling in a group of strangers make you cringe? Or perhaps make you want to curl into a ball, rocking yourself back and forth? Well until my recent travels, these were my own personal feelings on the matter. 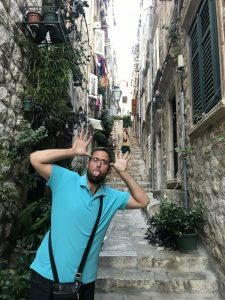 They say that meeting the locals is what makes a trip unforgettable, and Brother Nedim in Bosnia made sure we had the time of our lives. And yet, in September this year I found myself going on a group tour to Bosnia. I had actually already vacationed there last year and was blown away by the scenery and hospitality of the locals. Nevertheless, I was convinced that I would rather visit somewhere new, but my sister who was also going quashed my protests and insisted that going in a group would be a totally different experience. It became clear to me that my plan to remain incognito for as long as possible was foiled. By chance, six of us were seated in rows within close proximity to each other. The conversations began naturally and flowed easily. Soon we were all laughing and joking with each other and I slowly felt my anxieties fading away. Just down to the fact that they attended a group tour meant that every person there shared the same passion for travel and collectively, we had travelled to dozens of different countries. We each shared our own travel experiences and I personally gained a much broader horizon of countries I now want to visit. 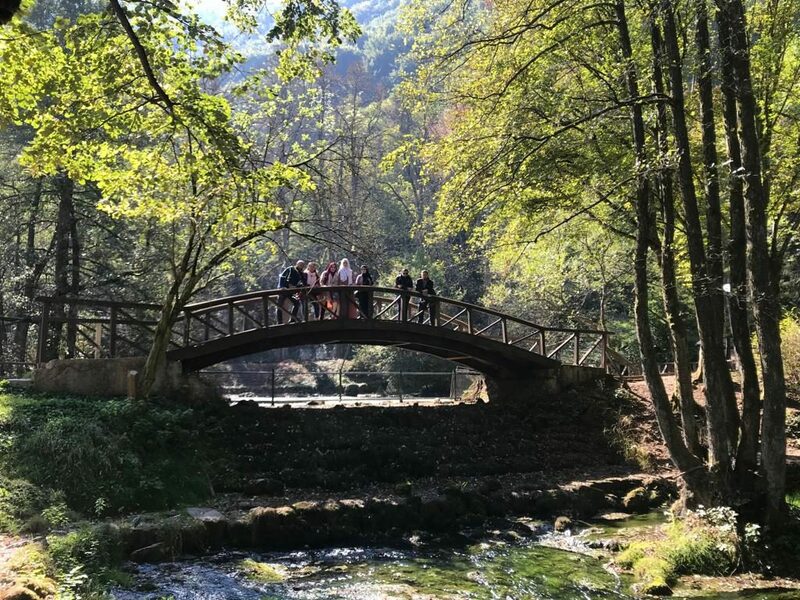 In the beautiful national park of Vrelo Bosne, Bosnia. And this was pretty much how the rest of the trip went. I had natural, genuine conversations with a diverse range of people, of different ages and backgrounds. Each person brought their own ideas and perspectives moulded by their own life journeys. It was fascinating to me that I was able to make genuine connections with people I had known all of six days. And for the social butterflies among us, travelling in a group provides the perfect opportunity to flit from person to person, extinguishing the mundaneness that can arise from spending too much time with the same person. 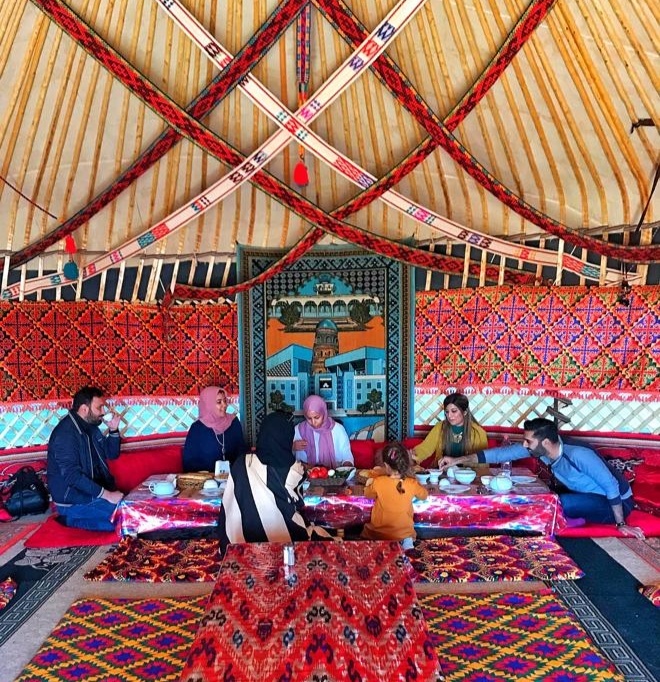 After the tour was over, it didn’t take me long to book my next group tour and a month later I was boarding a plane for a group tour of Uzbekistan, where I again met some truly amazing people. Remember those fun coach journeys as a kid on the way to Thorpe Park or the Zoo? Well that’s exactly the same vibe that we channelled on our 6 hour long journey through the Uzbekistan desert. 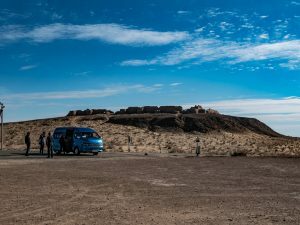 We travelled up and down the country in a ’70s-style inspired bright blue minibus, which made travelling through the barren Kyzyl-Kum desert pretty comfortable. We played a bunch of games, including one called Mafia (a more dynamic version of wink murder). Everyone got involved, including the group tour leader in the front! And the rest is history. Within the space of a month, I made some of the deepest connections with people I would otherwise probably never meet. Above all else, I have made some lifelong friends and am already planning my next holiday with them. My advice to anyone thinking of booking a group tour but has their reservations is this: have courage and book it. Don’t let your preconceptions hold you back; go with an open mind and push yourself beyond your comfort zones. You won’t regret it. 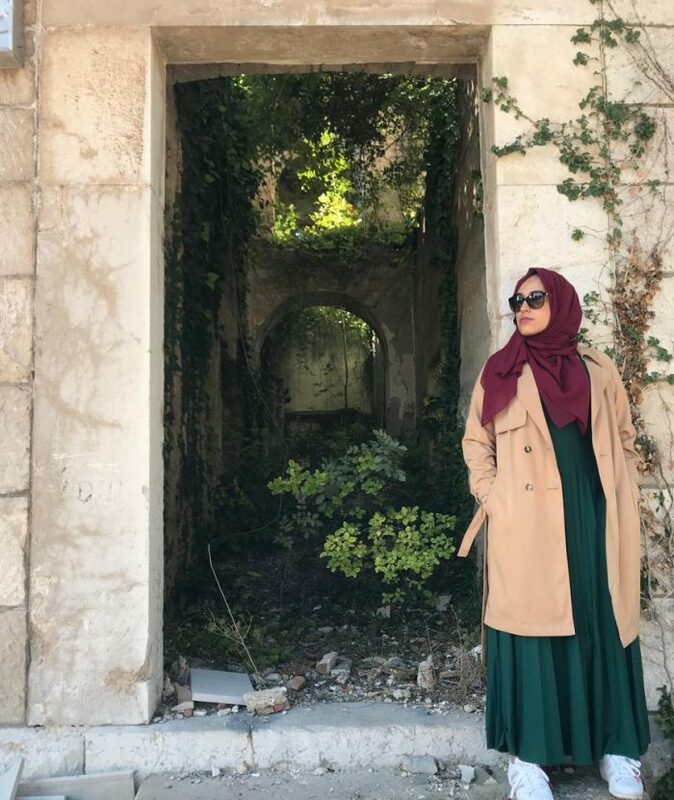 Maryam joined the Halal Travel Guide trip to Bosnia in September and Uzbekistan in October. We are now taking bookings for our next trip to Bosnia in April 2019, and will be releasing details of our trips to Uzbekistan before the end of this month insha’Allah. To stay up to date with our latest trips and travel discounts, scroll to the bottom of the homepage and hit the subscribe button!